Beautiful grey edged glass Nature Windlight Glass Hurricane. 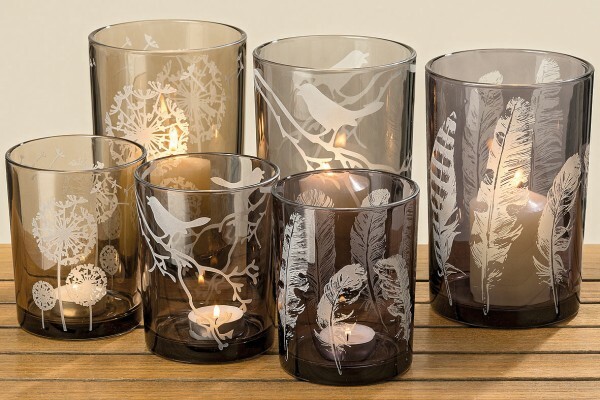 Simply place a candle inside and enjoy the warm glow or use as a vase for your favourite blooms. Available in three pretty designs. Related links to "Glass Hurricane"
Customer feedback for "Glass Hurricane"